On New Girl Season 5 Episode 10, Reagan prepares to move out of the loft, and out of Nick's life, when Jess finally returns home after jury duty. When you watch New Girl Season 5 Episode 10 online you'll realize how important it is to be upfront about the feelings you have for other people. Jess returns to the loft and took an instant liking to Reagan. After talking with Reagan, Jess realizes Reagan has feelings for Nick and tries to convince her to be honest with him and tell him how she really feels. Reagan continues to deny her feelings for Nick until Jess invites him to help out with tracking down a fellow juror Jess has feelings for. Reagan admits she has fallen for Nick and doesn't know why, buy Jess tells her Nick has a way of making people fall for him in the weirdest of circumstances. Reagan still doesn't want to tell Nick how she feels because she is getting ready to leave and won't be able to actually get a chance to be with Nick. Jess reminds her to not leave with regrets. Thankfully, at the airport, Reagan has a change of heart and finally calls Nick to tell him how she feels. Nick isn't sure how to take her words, but he's excited about the possibility of a relationship with her. Want to see what else happens? Go watch New Girl online now via TV Fanatic. 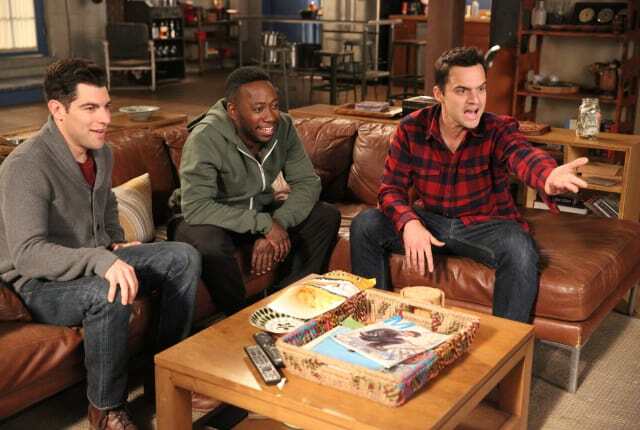 On New Girl Season 5 Episode 10, Reagan prepares to move out of the loft, and out of Nick's life, when Jess finally returns home from jury duty. I put on my special underwear because Jess is back because I made a promise I'd be wearing these when you came back. I feel like the moment passed, right? Permalink: I feel like the moment passed, right?